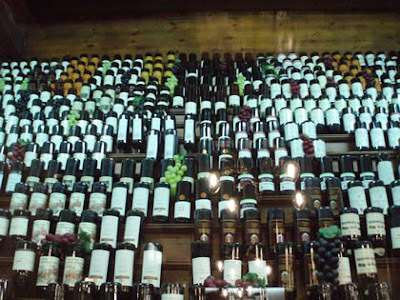 One Wine Per Week: How's Your Wine Stockpile? How are our wine inventories growing? Buying more wine than we can drink, or can drink in time? Monday’s post about an ever-increasing queue of books to read naturally led me to think about our queue of wine. Are we buying just enough, or are all those tempting bottles out there causing us to stockpile beyond what can be consumed at a reasonable or practical rate? Are our rates of purchase in line with our rates of consumption? I added another poll – please take a moment and cast your ballot. Hi Sonadora, I just saw your Twitter post and you have even MORE wine coming in next week! Make sure you checked the correct box in the survey, lol.. that's good, more reviews for us to read now! Outstanding post, I think people should acquire a lot information from this blog its very user friendly.